For families and couples looking for a peaceful holiday, Badiaccia's camping village is a relaxing resort with its own private lakeside beach. Situated near many cultural sites in Tuscany such as Cortona and Montepulciano, there is ample opportunity to soak in the surrounding olive groves and vineyards which mark the region. 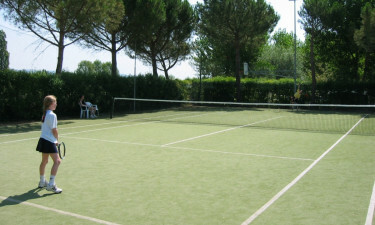 Back at Badiaccia, the luxury camping site offers well-catered facilities and services for everyone to enjoy. Set on the western banks of Lake Trasimeno in Umbria, Badiaccia is well placed for exploring Umbria and Tuscany. There are numerous activities to enjoy around the lake and hills — including hiking and cycling — or you can opt to try Umbrian cuisine in the surrounding Trasimeno area. Luxury mobile home accommodation at Badiaccia is situated in wide and leafy pitches with direct access to the lake. 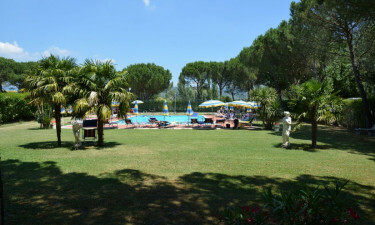 Book your next camping holiday in Badiaccia with LuxCamp. Why choose Camping Village Badiaccia? Sports for playing on the field, court or water. Bicyle rental for use on green paths. Playground for children with mini golf and table tennis. Badiaccia's pools are ideal for all the family. There is one pool for adults with ample room for serious swimmers and a daily aqua gym. The children's pool is kitted out for water games so your children can have fun under the supervision of a watchful lifeguard. 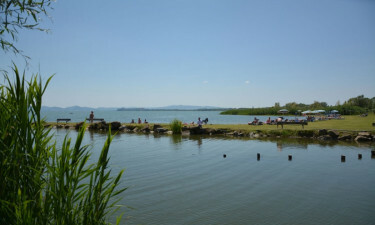 With direct access to the shores of Lake Trasimeno, Badiaccia has its own private, sandy beach surrounded by a green lawn. With plentiful sunbeds provided, you can relax by the lake, dip your toes in the water or adventure off around or on the water.